I love ice cream but don’t often eat it at home. When I go on holiday however, it’s a completely different story. I eat as many ice creams as I can get my hands on and more than make up for all the iced delights I never eat on home turf. 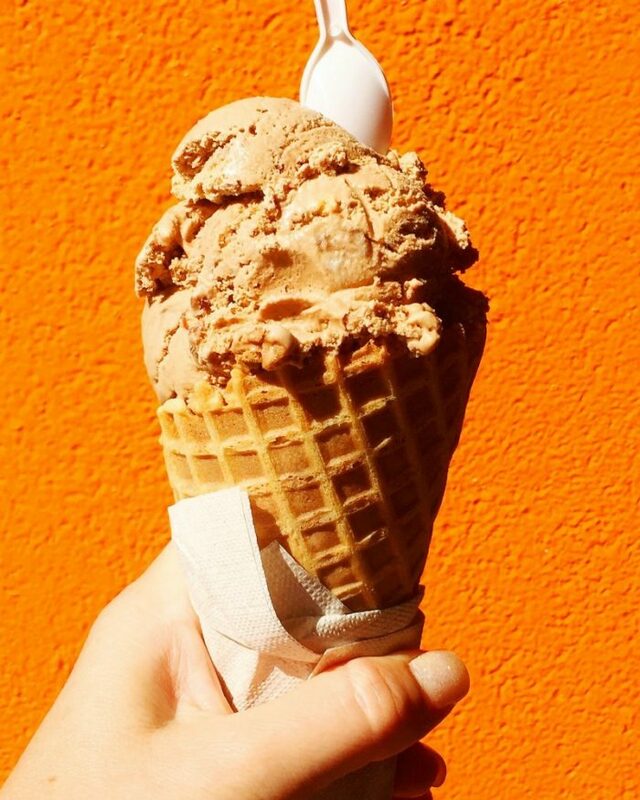 If you love ice cream, you’re going to love San Francisco, it really is an ice cream lover’s delight. 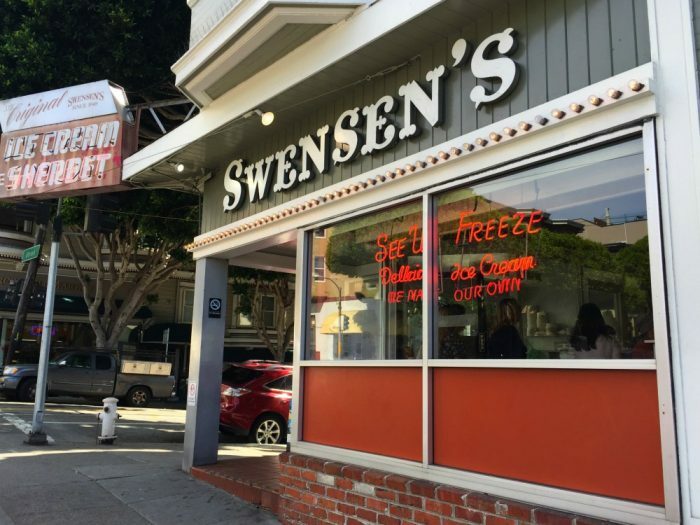 For me, a visit to San Francisco is not a visit to San Francisco without a visit to Swensen’s. This is the ice chain’s original store and it’s been serving cones of delight since 1948. It’s worth walking up hills to the place “where happiness never melts.” I think Olaf would approve! There’s no seating and no scoops on show, just grab your cone, cup or sundae and go. Here you’ll find a choice of 24 homemade ice creams and cookies like grandma used to make, plus really friendly staff to boot. 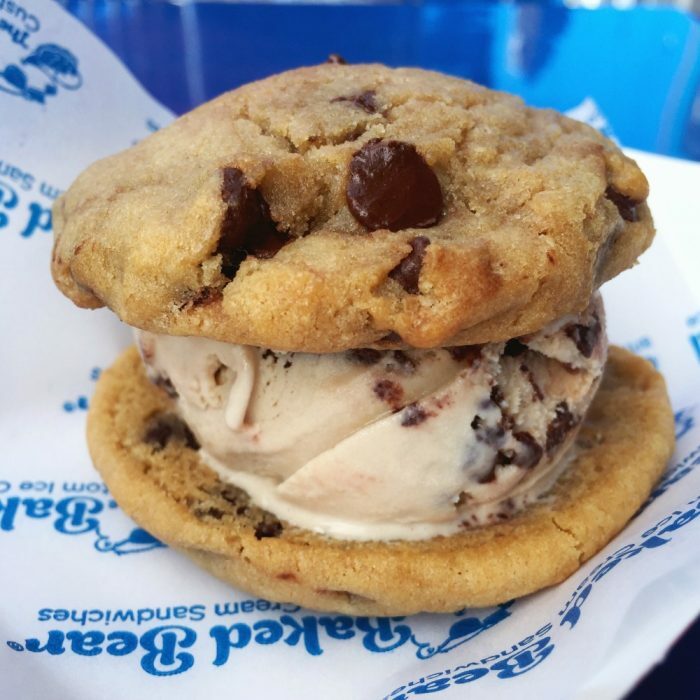 If you want something more creative than a cone, you can opt for a custom ice cream sandwich or sundae instead, there are heaps of cookies and toppings to choose from. You can try before you buy and although there are no seats in the compact, modern interior, there are plenty of tables outside which are the perfect place for a spot of people watching and, if you’re lucky some free street entertainment. 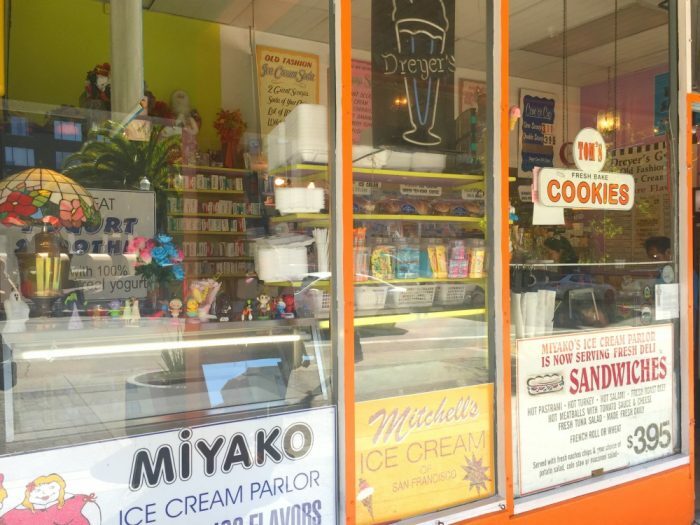 A visit to this old skool ice cream shop and candy store is a treat, and that’s without even taking a taste! Go inside and take a step back in time with ice cream, candies and service from today and yesteryear. Tom the owner is as sweet as the ice cream he scoops and is happy to let you sample. The candies and ice cream flavours on offer are mind bogglingly good. It’s just like the good old days only better! 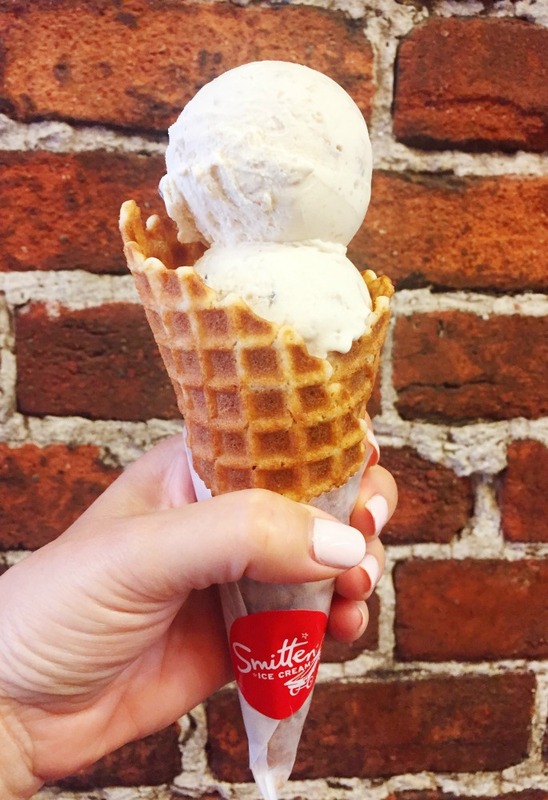 Smitten is a scoop apart from other creameries because they use liquid nitrogen to freeze each scoop to order! There’s a menu but no ice cream at the counter, so once you pick your flavour, your Brrrista pours fresh cream into the Brrr machine and then the magic happens, right there in front of you! Apparently, Smitten’s founder, Robyn Sue Fisher worked with a retired aero-space engineer to design and build the first version of the Brrr, the space age machine that freezes the ice cream – it’s really is super cool in every sense. 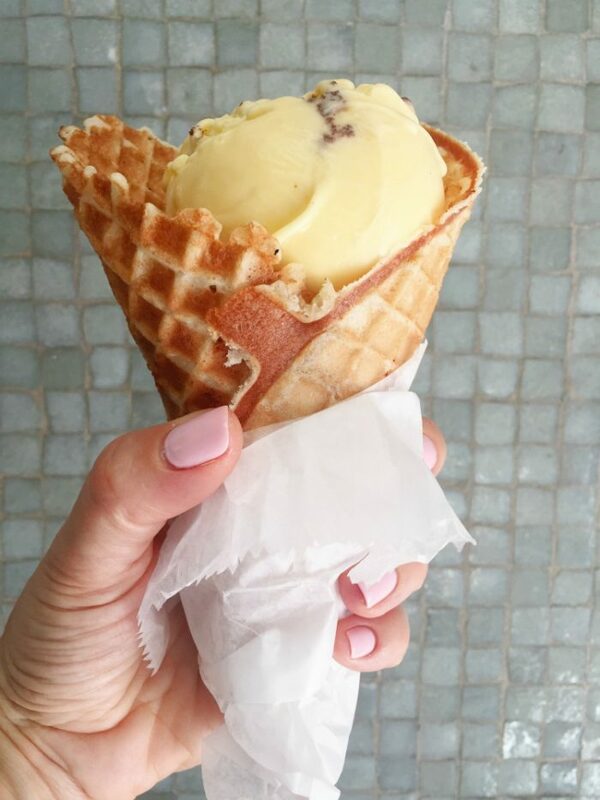 In just a couple of minutes, you’ll be eating fresh, creamy and uber delicious ice cream, ideally in one of the homemade waffle cones that are made in house and fresh every day and are utterly delicious! There’s limited seating inside and a cute little courtyard where you can savour your scoop. 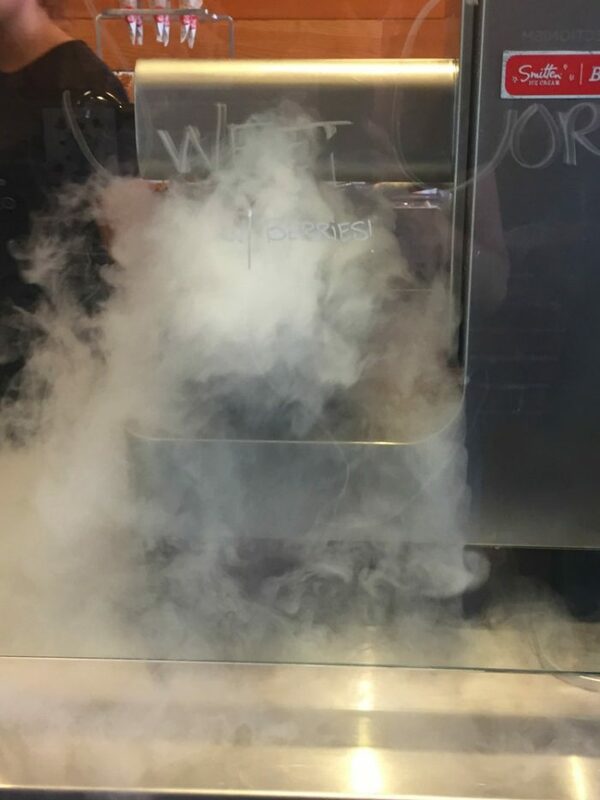 This place has it all, a cool store, friendly staff and quality ingredients – this is one scoop you won’t want to miss! 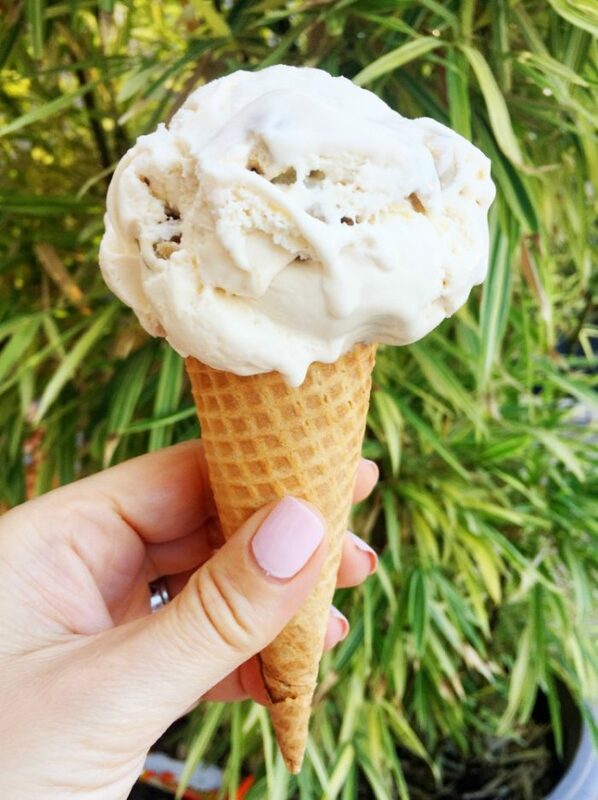 If you hear someone talk of San Francisco and ice cream in the same sentence, the name they’re likely to drop is Humphry Slocombe. 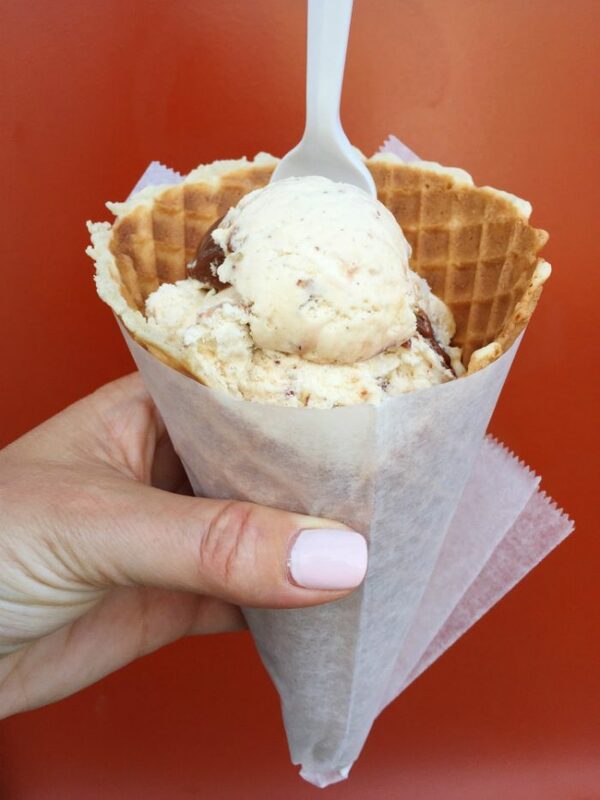 This San Fransiscan ice cream institution is famous for it’s wacky but wonderful flavour combinations. 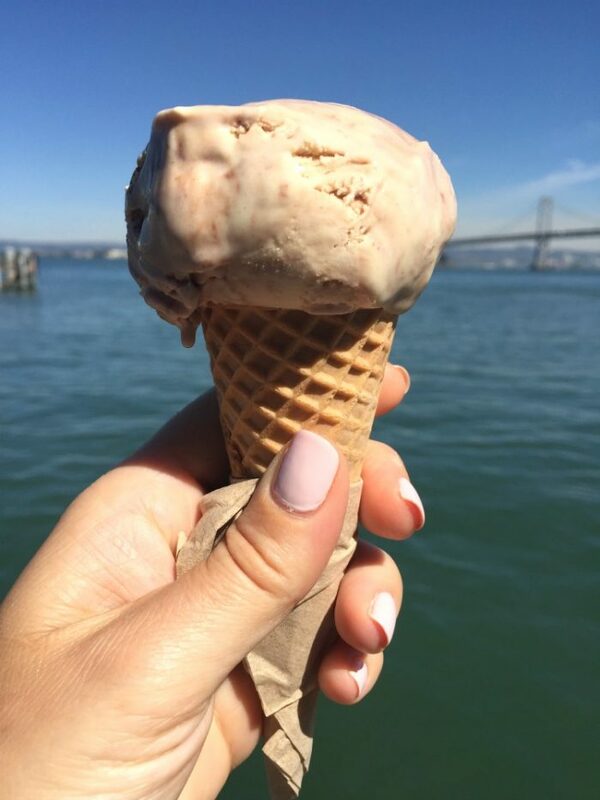 Located in the Ferry Building, a scoop of Slocombe is just the ticket after a day on the bay. In store you’ll find a long line and a dozen diverse flavours but I’m an ice cream conservative so I played it safe with Peanut Butter Swirl. 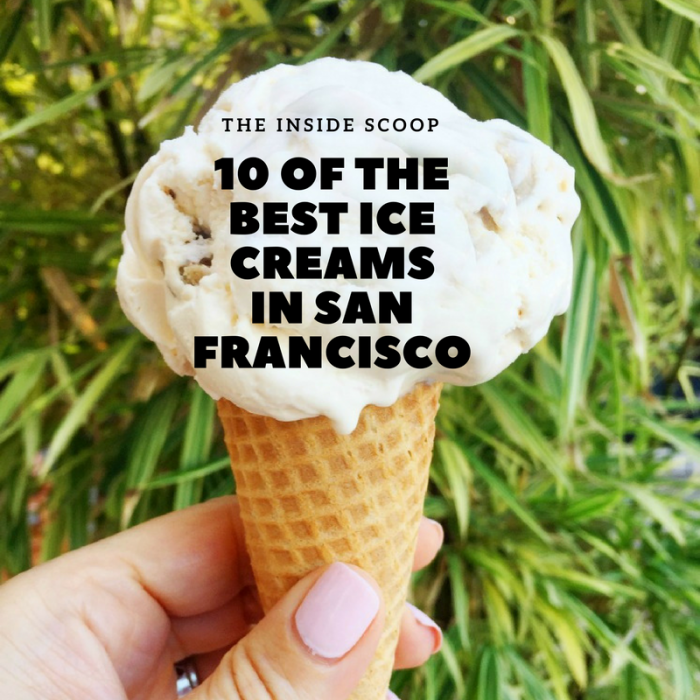 As delicious as it was, I have frozen FOMO because my SF friends tell me a signature scoop of Secret Breakfast – with bourbon, yes bourbon, and cornflakes – is not to be missed. Whatever flavour you get, take your ice cream outside and enjoy it with a bayside view! 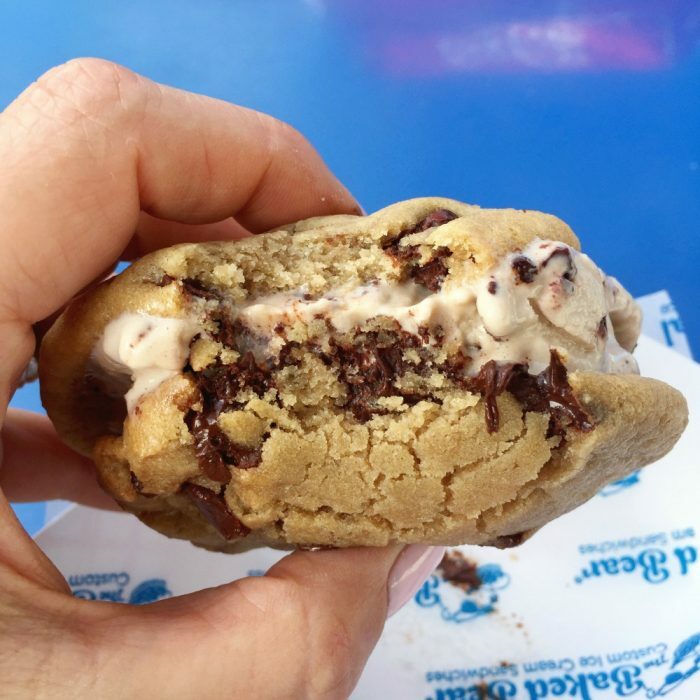 Located in a side street just off the strip that is Fisherman’s Wharf, this open air cafe has something for everyone – from ice cream sandwiches to sundaes and cookie bowls to floats. There’s 13+ ice creams to choose from but the ice cream sandwiches are the star of the show here, you can customise your combo with cookies, donuts or brownies! There’s a ton of toppings on offer and you can even get your sandwich hot pressed too! The staff are friendly and there’s some outside seating which is always a bonus. 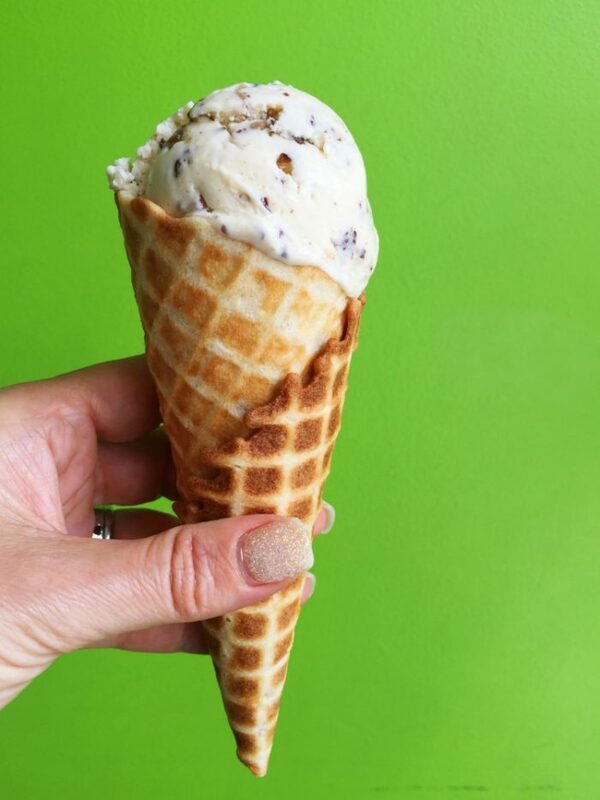 At one of the bricks and mortar stores of this local chain, you’ll find a delicious dozen of organic ice cream flavours. There’s nowhere to sit, so just grab your cone (or take a tub) and go. 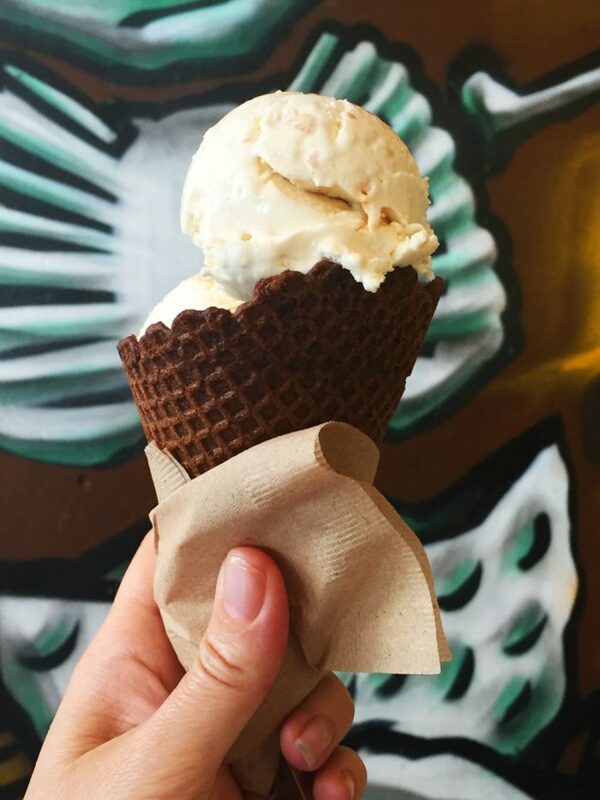 Here you’ll find scoops that are spun in Oakland and served in San Fran in the heart of the financial district. 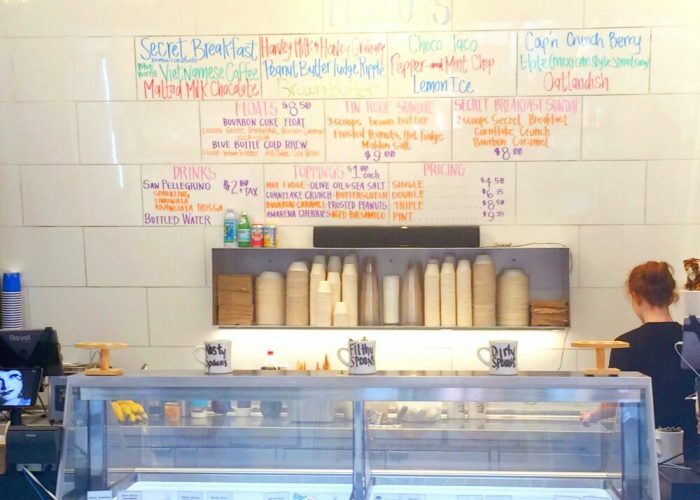 Billed as the smallest scoop shop in America, it’s certainly cosy and serves twelve tantalising and really rather offbeat flavours, ranging from Vegan Thai Green Curry to Hot Buttered Rum. There are plenty of vegan options, sorbets and there’s even pup pops, so that your dog can get the inside scoop too! The store is too small for seats, but you can perch on the multicoloured stools outside on Claude Lane. 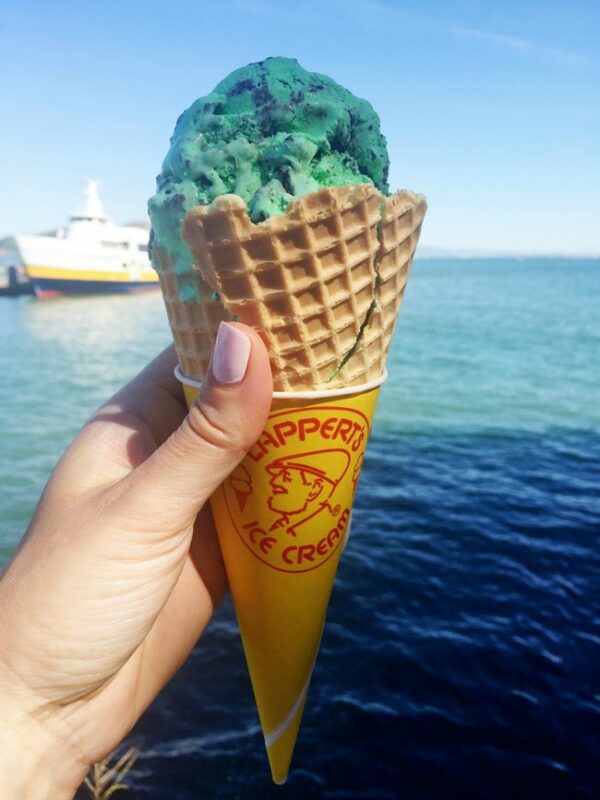 Once an outpost of a Hawaiian chain, Lappert’s now manufactures it’s ice cream in Richmond, California. Here in the heart of Sausalito, you’ll find long lines, brisk service and a whole range of fabulous flavours. As well as scoops, there’s also shakes, sundaes and sandwiches and sugar free and frozen yoghurt options too. Are you an ice cream lover too? What’s your favourite flavour? Have you got any San Franciscan ice cream that I must add to the list? What’s the one food you can’t get enough of when you go overseas?